Ideal for storing demo pieces or giving a professional finish to a product in need of a storage box. Aluminium Flight Case (310x240x130mm). 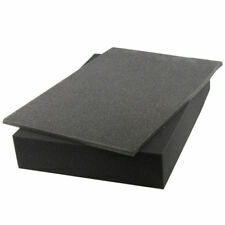 A flight case with a solid foam allowing things to be firmly secured within the foam. Top Velcro flap. Velcro flap for rear connections or access to an active panel. Width 41 cm. Height 77 cm. Chi siamo casi e recinzioni sono fornitori di qualità volo casi, casi di uragano e Custodie in plastica per una vasta gamma di usi e applicazioni. Fondata nel Regno Unito nel 2003. Perché casi & recinzioni?. Super stick, heavy duty vinyl laminated for easy cleaning. Deckel kann komplett entfernt werden. Einbautiefe ist 14 cm, breite Standart 19" und 8HE ( 36cm). Tischhalterung, Befestigungsmaterial und Anleitung. Höhe - Tischstange: 45,5 cm. Platte: 35,5 cm x 30 cm. Farbe: weiß. Gewicht: ca. 6,4 kg. Höhe - gesamt: 56,0 cm. 370 Fatboy: 12" Vinyl record box. Capacity: Approx 80 Vinyl 12" records in standard covers. Flat sides & solid base panel to keep your vinyl straight and warp free. Super stylish storage solution for your record collection. 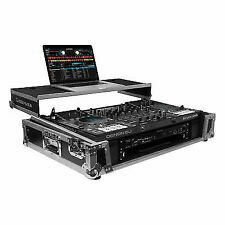 MIXEE DECK NOT INCLUDED This is for a Mixer Desk flight Case deck Dj Band has a ratchet operated sloped tiltable multi position angle so you can see the deck or run it flat in the case. 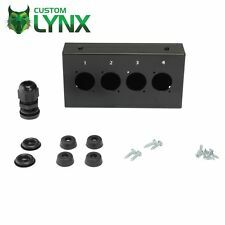 Top fastens on with catches and comes off you can use it in the case. Was used to store a 24 channel mixer but a 12 channel will also fit. Condition is lightly used. 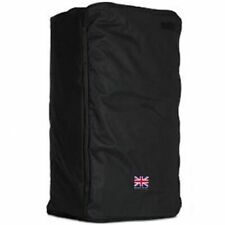 Dispatched with eBay delivery usually within 24 hours – Shutl 2-3 days. When we have received the item back it will be checked to confirm the fault. Large steel drawbolt latch, pad-lockable. Black finish. Steel Drawbolt Catch. Loop for Padlocks. Orders paid by cheque are subject to clearing. Single Ring Binder. Capacity: 240 CD/DVD. With Anti Scratch Removable Protective Sleeves. 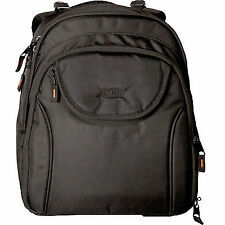 Material: Black Nylon. Archery Set. Phone accessories. We accept all major debit and credit cards. Lighter Gas/ Lighter fluid. With Anti Scratch Protective Sleeves. Archery Set. We accept all major debit and credit cards. Protects From Dust, Scratches, Sun. inflatable camping/swimming. Protects from dust, scratches, sunlight. Reinforced corners, handle on top of this cube styled case for ease of access, padlock catch for keeping your valuables safe. Ideal for storing demo pieces or giving a professional finish to a product in need of a storage box. Darkside Record Crate. Model Specification: 340 Digger: 12" Vinyl record box. Super stylish storage solution for your record collection. Flat sides & solid base panel tokeep your vinyl straight and warp free. Compact case. Now available in 4 new Colours Red, White, Blue, Black. New colours: Black, Red, Blue,White. HMV "Nipper". Capacity: Approx 80 Vinyl 12" records in standard covers. 370 Fatboy: 12" Vinyl record box. Flat sides & solid base panel to keep your vinyl straight and warp free. Super stylish storage solution for your record collection. Front Storage Pouch / Pocket. Folds flat for compact storage when not in use. 126 Litre Storage Capacity. 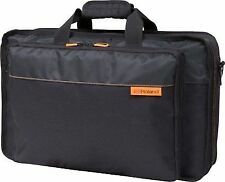 Vintage Leather Technics DJ Gear Vinyl Record Bag - Technics. Vintage Record Bag in Original Condition. Made out of Aluminium yet light and strong lined with a soft plastic lining to ensure maximum protection for your precious collection of vinyls. ALSO COLLECTION IS NOT AVAILABLE. Holds up to 50 X Vinyls / records. Le boîtier est en tôle d’acier galvanisée avec Couronne double bille avec protection de fil. Deux roues sont équipées de serrures totales. Marke Markenlos. EAN 0743401444966. Maßeinheit Einheit. The BEST VALUE 150ml size Pure Vinyl Record Cleaner includes: one 150ml Bottle with Atomiser Spray; one full sized (380mm x 380mm) soft Micro Fibre cloth and full instructions for use. 1 x 150ml Bottle of Pure Vinyl Record Cleaning Fluid;. What makes Vinyl Clear the choice of professionals?. The unique formulation of the cleaning fluid contains ultra-pure ingredients that penetrate deep into the record groove and gently soften and remove contaminates. AWOL A Way Of Life - Record Bag Bag is in a good condition, I would of said possibly never used apart from it’s missing stud on the bottom of the bag Colour is a burgundy red (flash made it look pinkish in some photos) Embroidered main logo on front with metal badge on bottom corner Shoulder strap which can be moved to rear of bag for different fitment. Manufactured from FSC & PEFC compliant sustainable timber. The 370 record box pictured is holding80 12" albums for display purpose. Old favorites & exciting new designs all great quality solid wooden crates in 12", 7" sizes & our new "370 fatboy" model wide 12" box. Old favorites & exciting new designs all great quality solid wooden crates in 12", 7" sizes & our new "370 fatboy" model wide 12" box. Model Specification: 340 Digger: 12" Vinyl record box. Capacity: Approx60 Vinyl 12" records in standard covers. Record Crate. Old favorites & exciting new designs all great quality solid wooden crates in 12", 7" sizes & our new "370 fatboy" model wide 12" box. Model Specification: 340 Digger: 12" Vinyl record box. Angoli rinforzati, maniglia sulla parte superiore di questa custodia in stile cubo per facilità di accesso, lucchetto per tenere gli oggetti di valore al sicuro. Ideale per riporre demo pezzi o dando un professional fine per un prodotto che hanno bisogno di una scatola di immagazzinaggio. Superb quality hand crafted solid wooden record crate. Solid wooden record crate featuring unique prints & designs. We have managed to secure a small batch of our popular wooden retro record boxes. London Records. Sie suchen nach einer guten oder besseren Alternative zu Ihren bisherigen Produkten?. Marke Penn Elcom. EAN 0743401444782. Dimensioni esterne: 210 x 167 x 90 mm, dimensioni interne: 186 x 123 x 75 mm, volume: 1,7 l, peso: 0,59 kg. Mount any combination of 3 Mother-32 & DFAM's together vertically for maximum modularity and synthesis capabilities. Easy to assemble and excellent for combining a collection of Mother-32's or DFAM's.